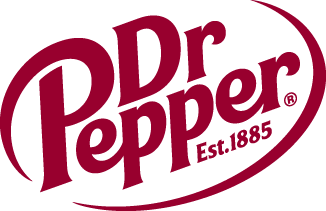 DR PEPPER DALLAS CUP TAPS NEW EXECUTIVE DIRECTOR | Dallas Cup, Inc.
Dallas, TX (November 8th, 2012) - The Dr Pepper Dallas Cup has named veteran sports executive Andy Swift as the tournament’s new Executive Director. Former Executive Director Gordon Jago, who announced his retirement prior to this year’s tournament, will continue his involvement as a consultant and tournament ambassador. Swift, who joins the Dr Pepper Dallas Cup tournament with more than 20 years of management, marketing, public relations, and broadcasting experience in the North Texas area, has been running a Dallas-based marketing and public relations consulting business since 2005. His experience in the soccer industry is extensive, and includes eight seasons with the Dallas Burn (now FC Dallas), serving as the team’s President and General Manager from 2000 to 2003, as well as a stint at the league level, where he served as Senior Vice President of Marketing and Communications for Major League Soccer. Swift began his professional career in 1989 in Dallas as a television news and sports editor for KFWD-TV (Telemundo). Swift is no stranger to the Dallas Cup. He played in Dallas Cups II and III as a teenager, and cut his teeth in the soccer industry serving as a Dallas Cup media relations chairperson in the late 80’s and early 90’s. He also covered the tournament extensively throughout his career in broadcasting. Swift, 44, a graduate of Texas Christian University, currently serves as a FIFA Match Commissioner in the CONCACAF region. He is fluent in English, Spanish, and Portuguese, and hosts a weekly, regional television sports program on Azteca America, Marcador Azteca.